Students at Lanigan Elementary School in the Fulton City School District held a Living Museum Project at their school where important historical characters were brought to life. 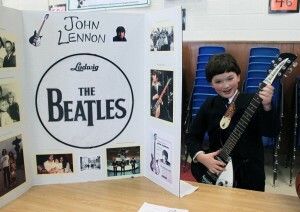 Lanigan Elementary School fifth grader Patrick Galvin portrayed John Lennon during the school’s “Living Museum” held recently. Students in Mrs. Krista LaDue’s and Mr. Aaron Koproski’s fifth grade classes selected their historical characters, did extensive research about their person and then portrayed that individual during visiting hours at Living Museum. 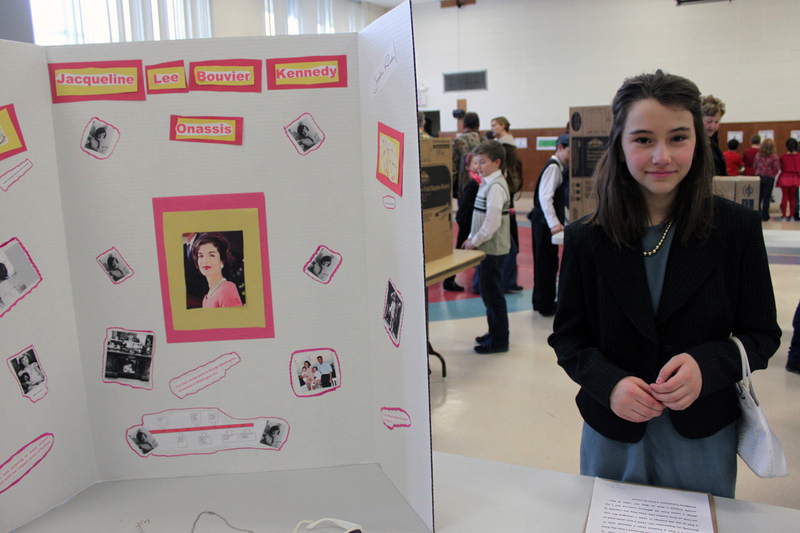 Fellow students, parents and family members were invited to visit the museum and speak with the characters about their life and how they impacted the world. Where else could you find John Lennon, Elvis Presley, John and Jackie Kennedy, FDR, Albert Einstein, Oprah and more all in the same room? Elvis is in the building. 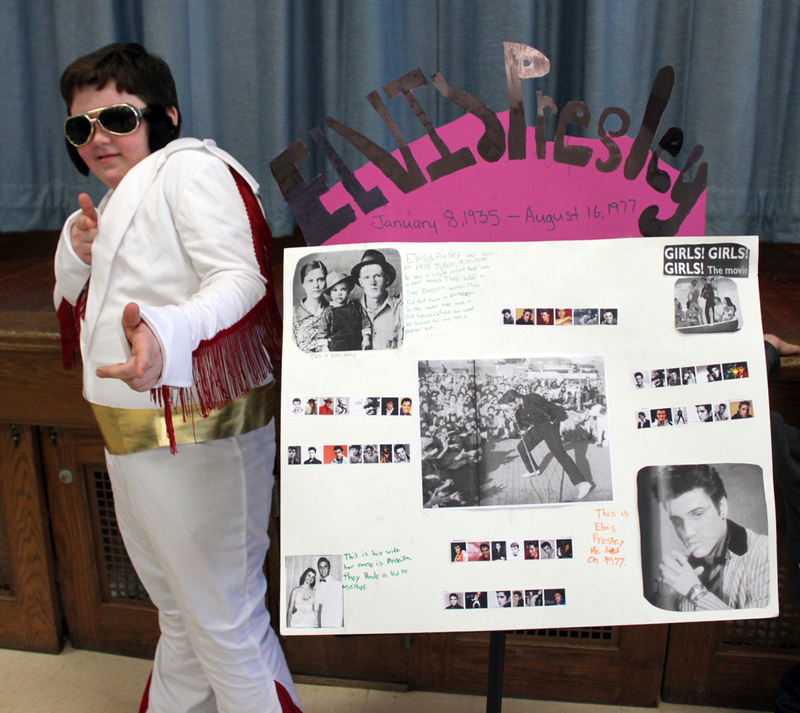 Ethan Hadcock selected Elvis Presley as his important character in history for his impact on music. 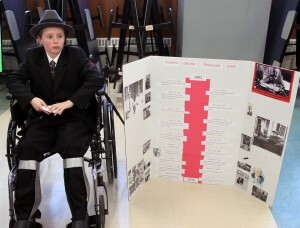 Jacob Summerville portrayed Franklin D. Roosevelt, complete with his braces and wheelchair, during the “Living Museum” held at Lanigan Elementary School recently. Julie Duval depicted Jacqueline Bouvier Kennedy Onassis as her important character in history during the “Living Museum” at Lanigan Elementary School. Great Job 5th Grade !!! Can,t wait for Lip Sync!!!!!! !